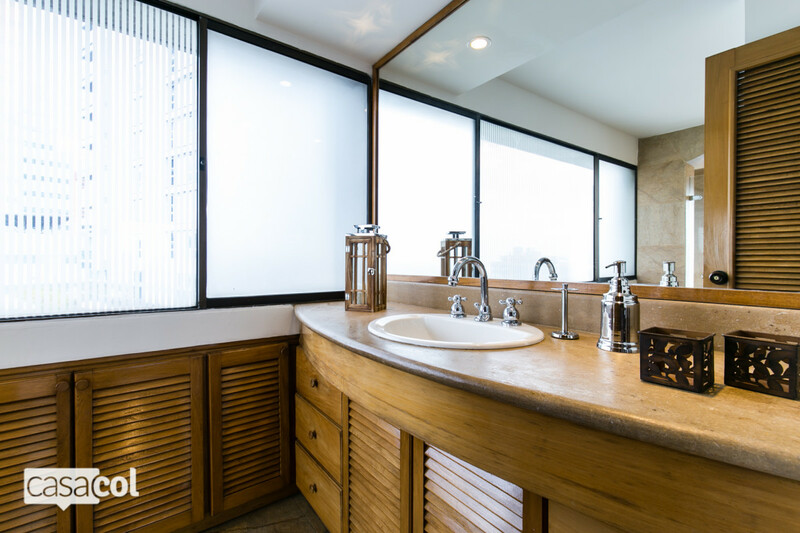 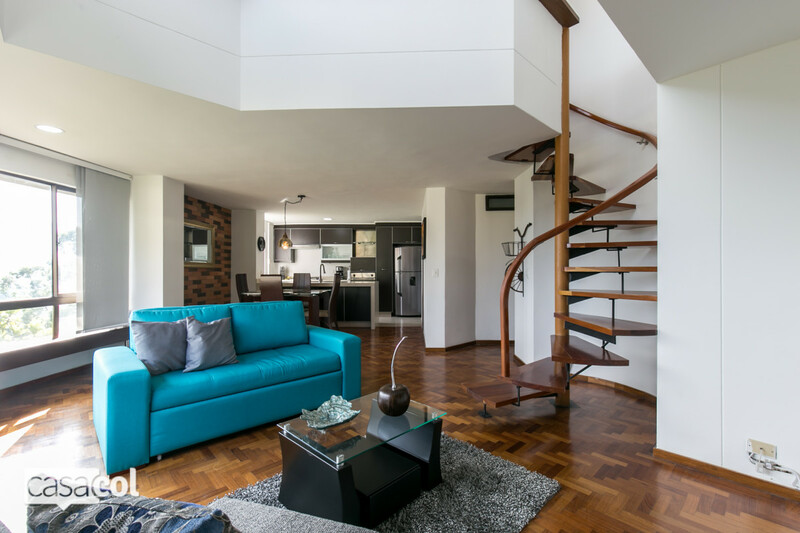 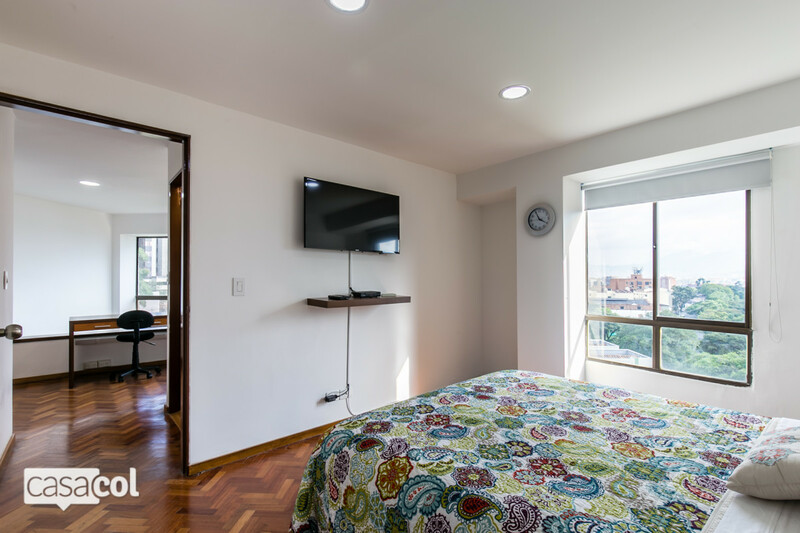 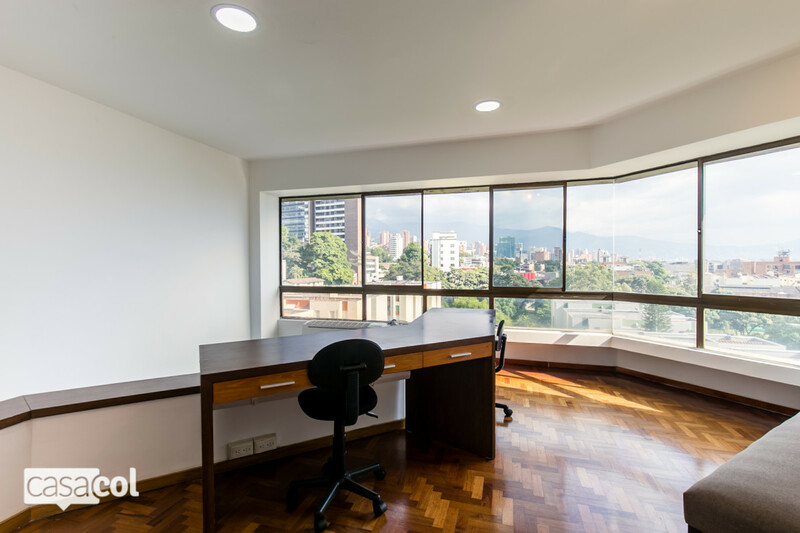 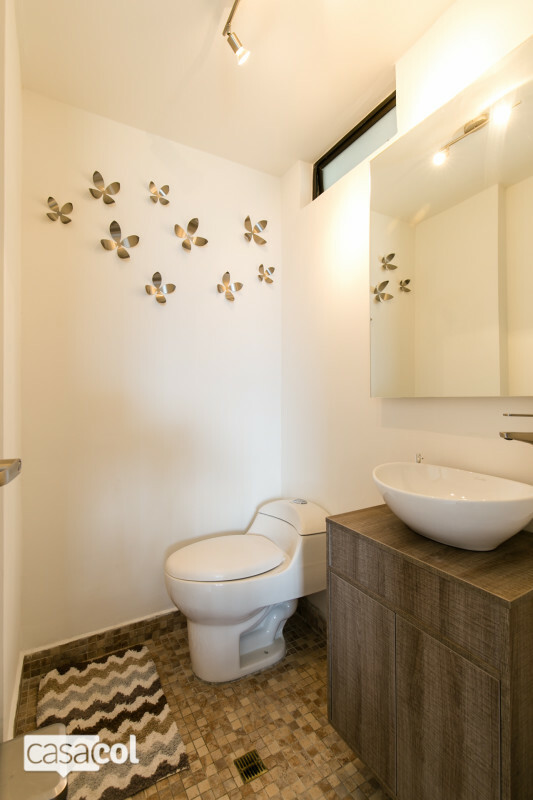 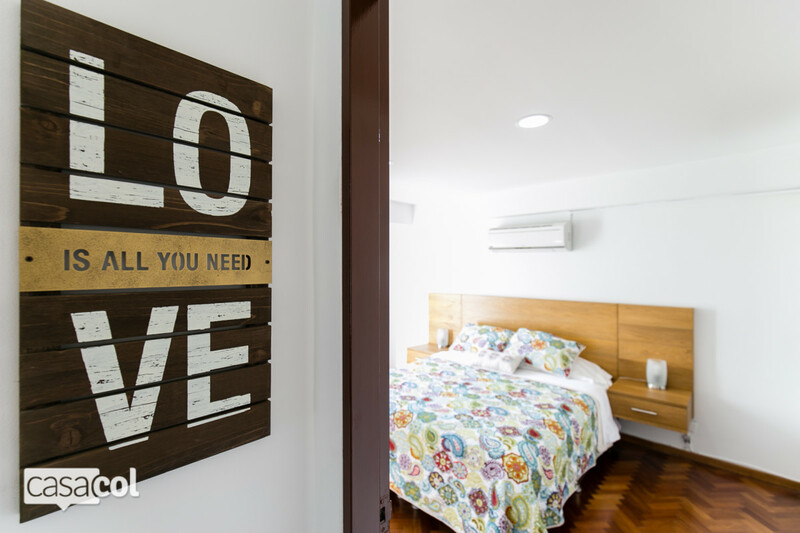 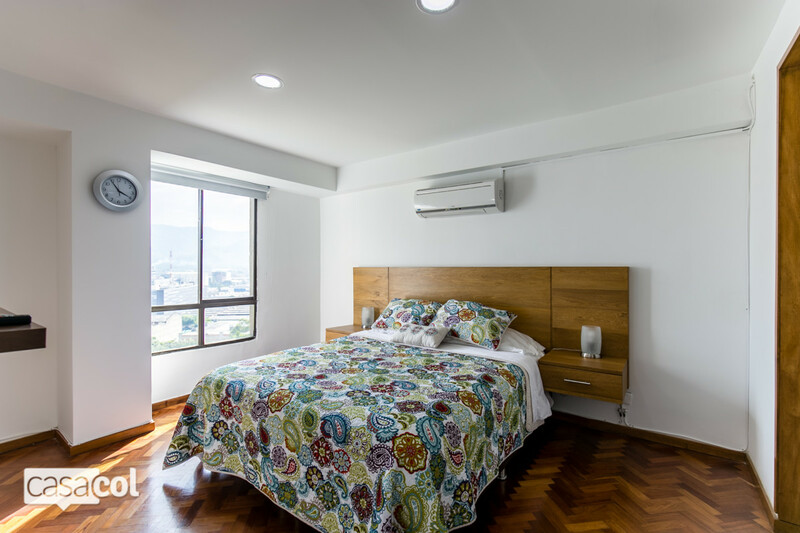 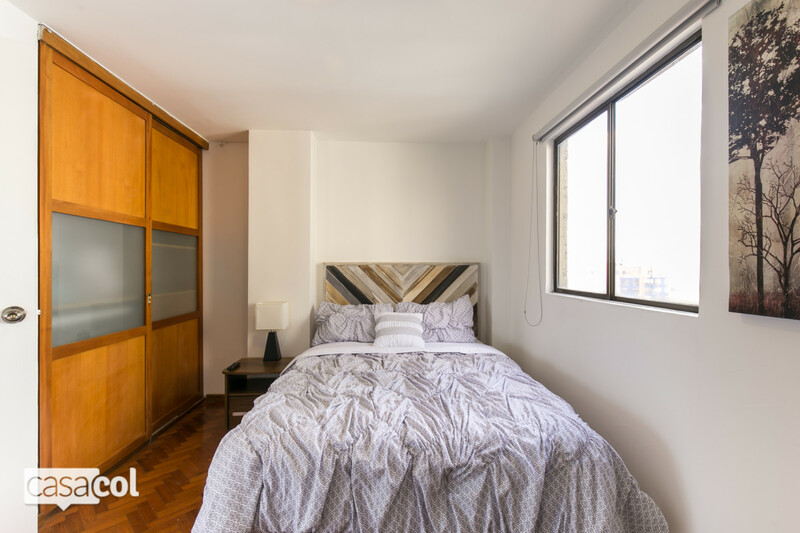 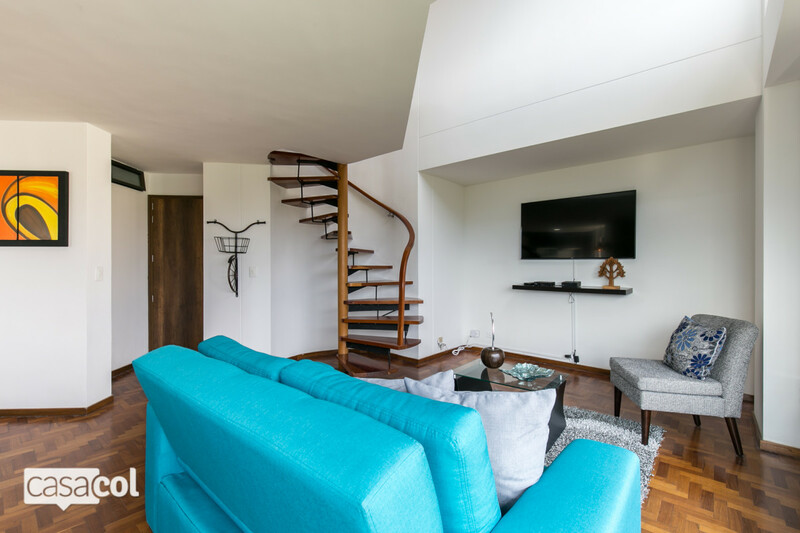 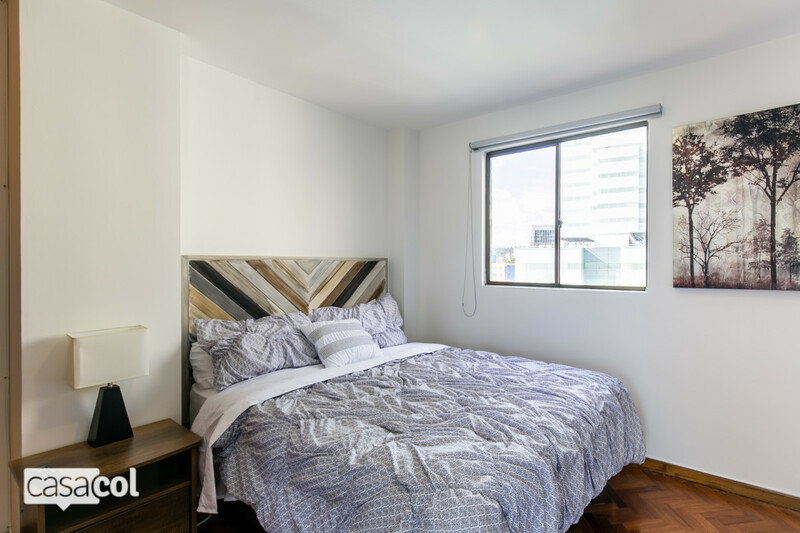 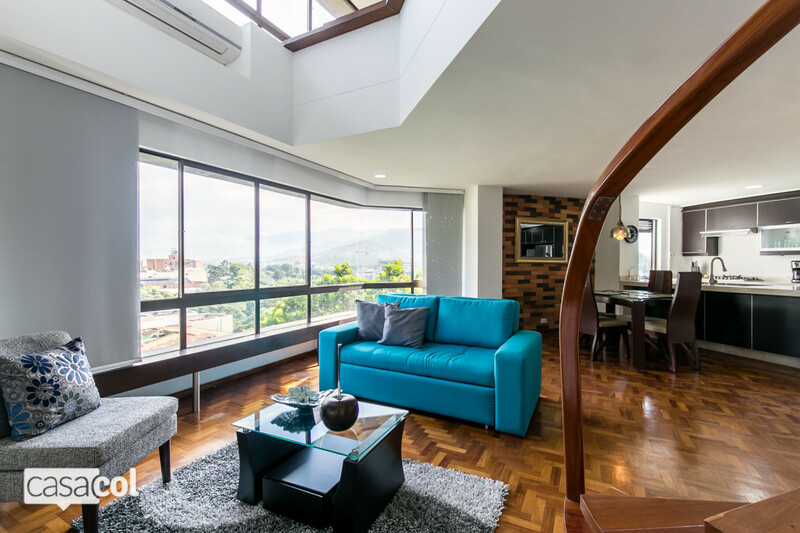 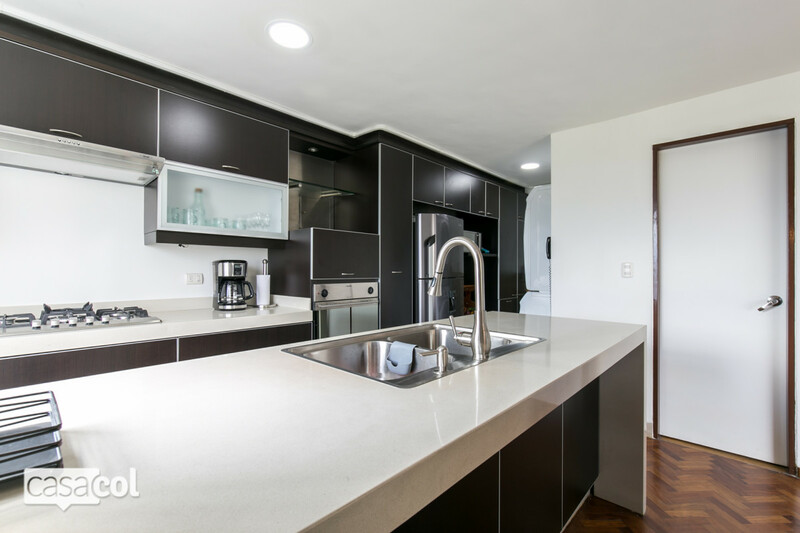 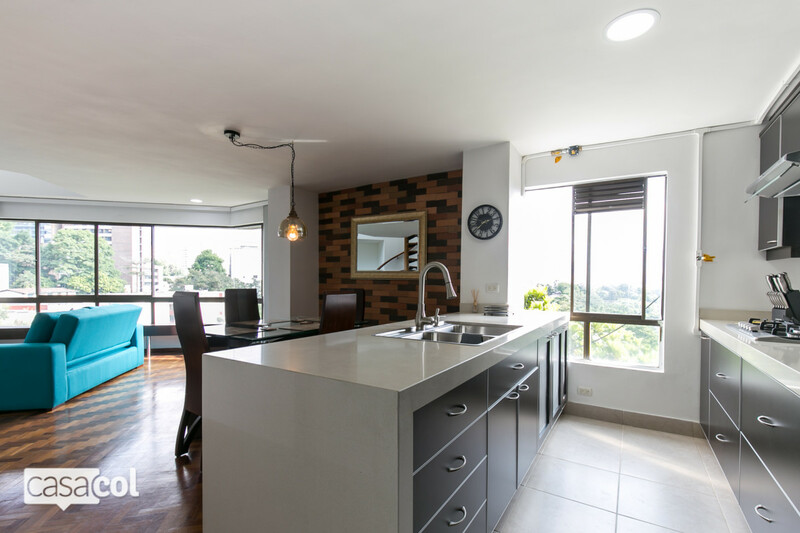 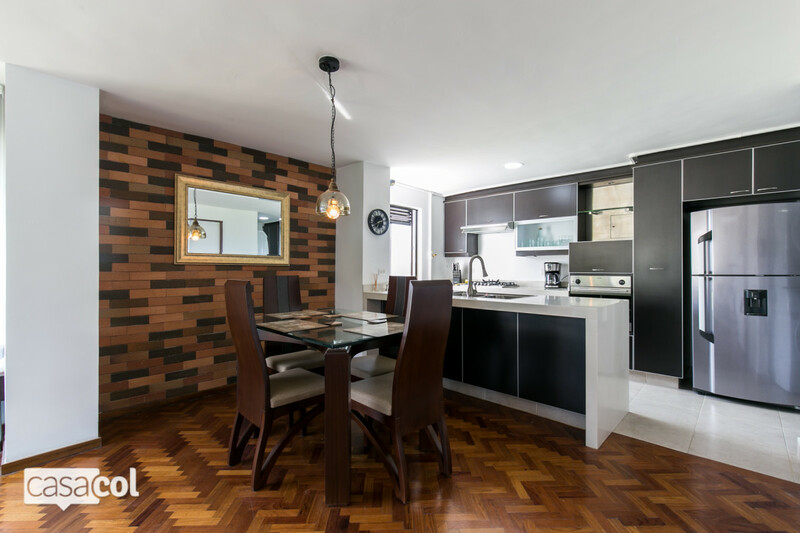 Pinar Alto is a charming loft style apartment situated in the Manila area of El Poblado, a 5 minutes walk to the Poblado Park, known as the nightlife sector of Medellin. 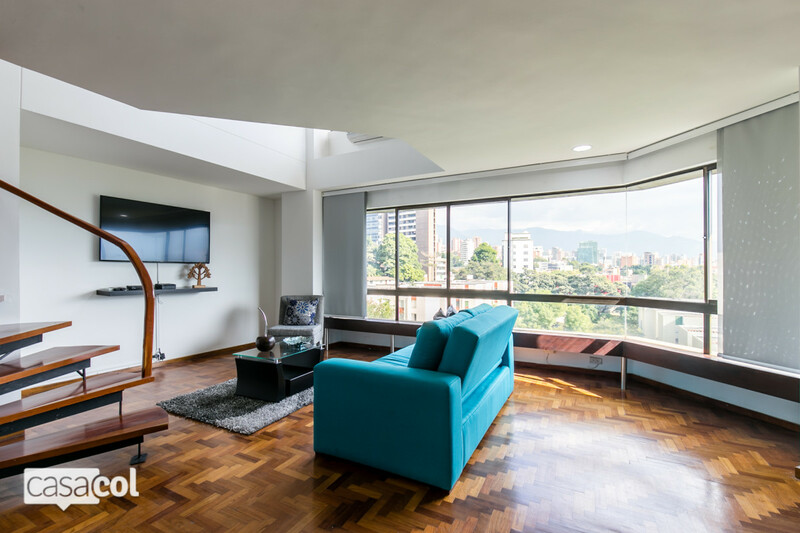 The apartment features a luminous living room with air conditioning, a sofa bed, and television. 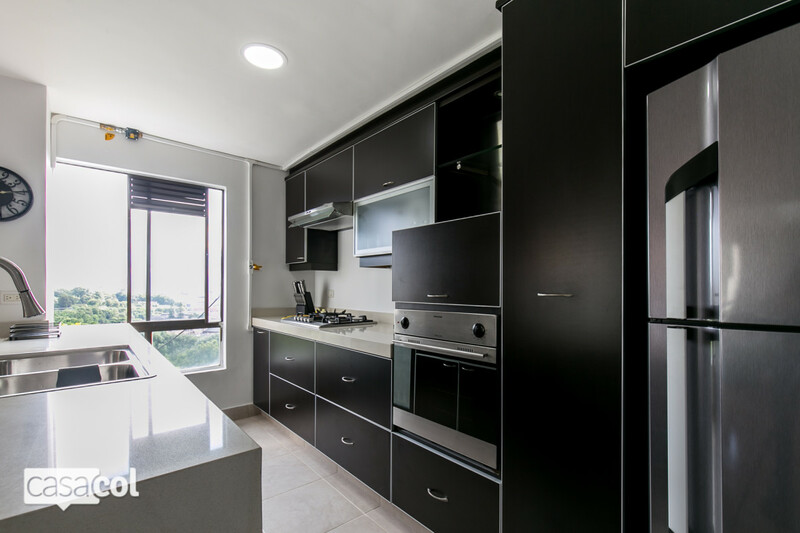 The kitchen is open plan and fully equipped with the necessary appliances. 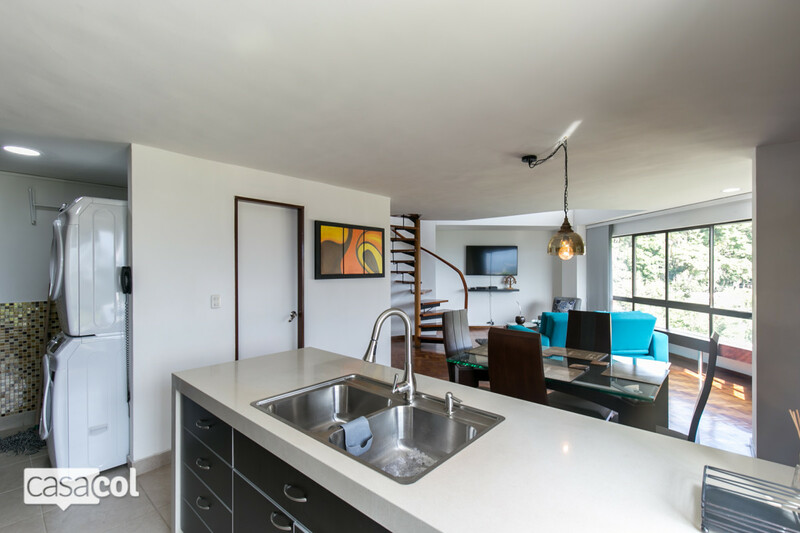 The second level is host to 2 comfortable bedrooms. 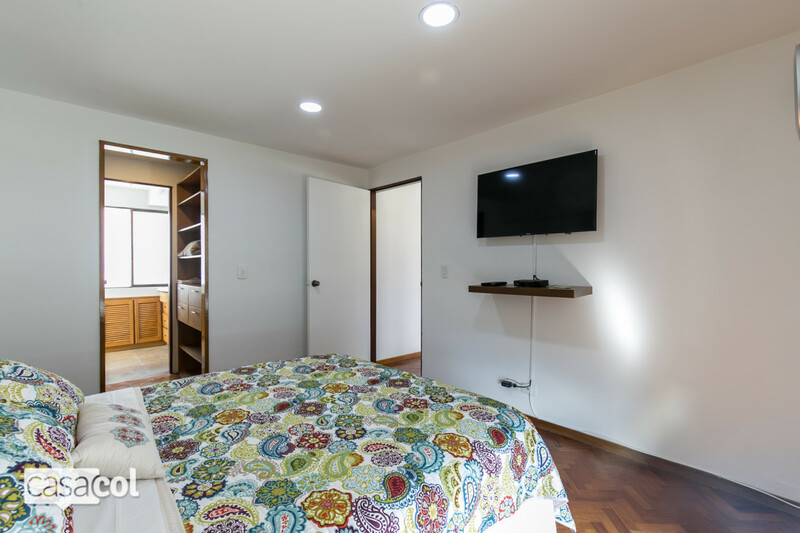 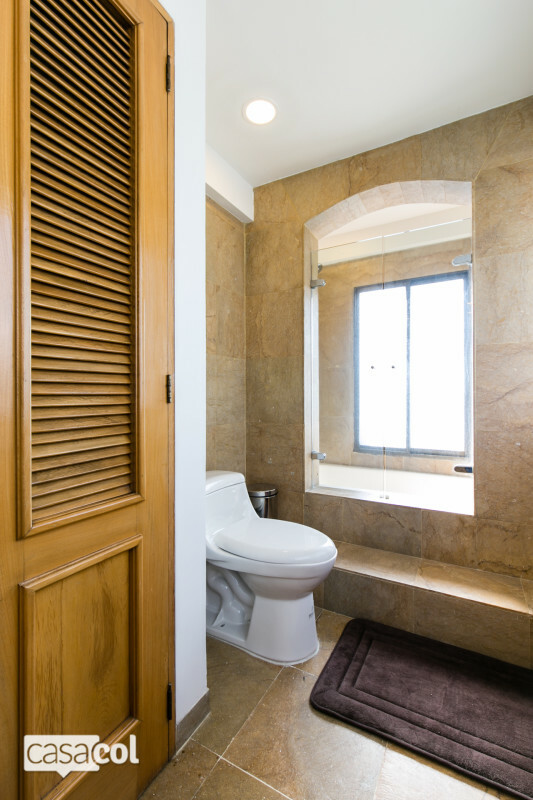 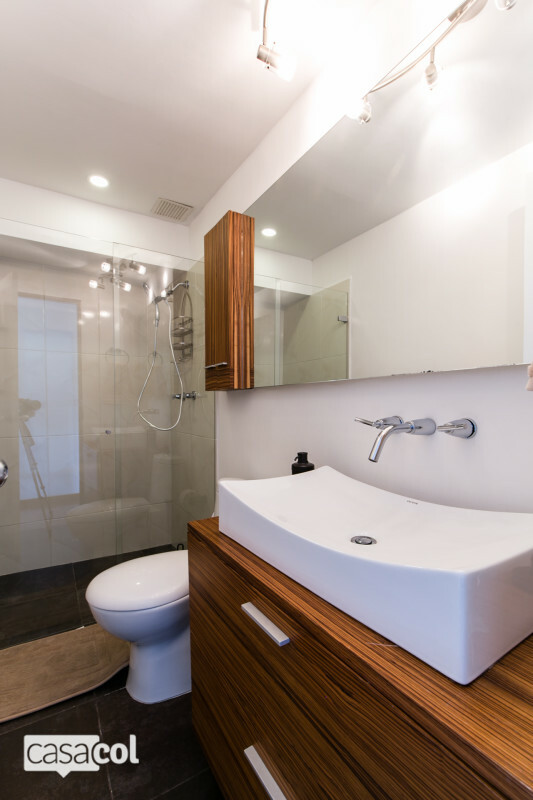 The master one features a private bathroom, walk-in closet, TV, air conditioning and black-out curtains while the small one offer black-out curtains, closet and TV and has access to a full bathroom across the hall. 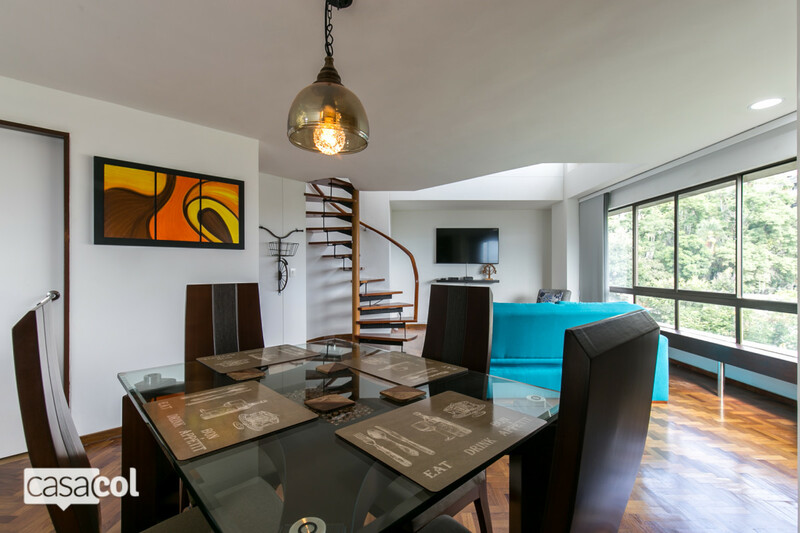 With a dedicated work area on the second level, this charming penthouse is perfect for travelers, online professionals and couples alike. 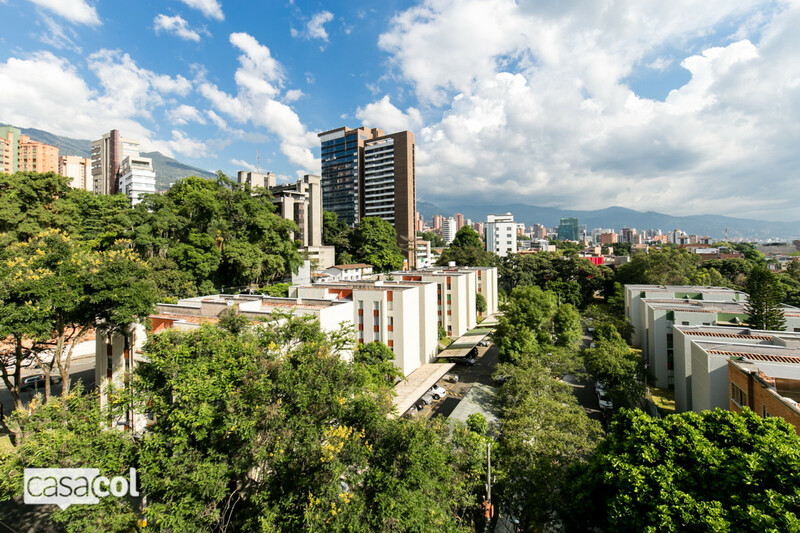 Pinar Alto is located in the Poblado neighborhood which offers a variety of restaurants, bars and other hotspots.